Smokefall had its opening night yesterday, after previews from February 4 to 21. 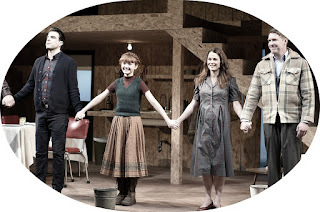 The play will run until March 20, and following you can find photos from the opening night along with reviews and what critics had to say about Robin. All positive opinions, but I had no doubts about that!